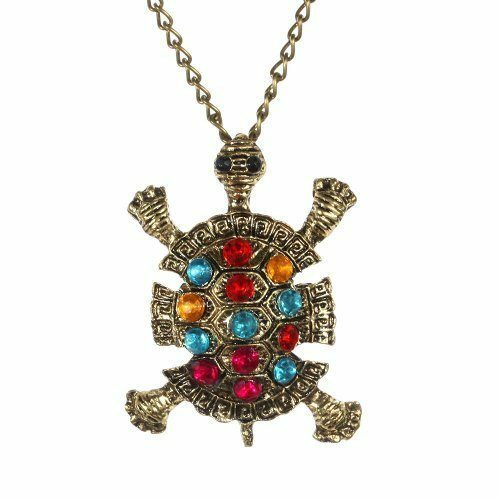 Bronze Crystal Tortoise Necklace Only $0.99 SHIPPED! You are here: Home / Great Deals / Amazon Deals / Bronze Crystal Tortoise Necklace Only $0.99 SHIPPED! Who wants a super cute and inexpensive necklace?? Check out this deal – right now, you can get this Bronze Crystal Tortoise Necklace for just $0.99 + FREE shipping! The retail price of this necklace is $15.99. I think this one is really pretty. This is a great time to buy something new for yourself or to grab a gift or two!